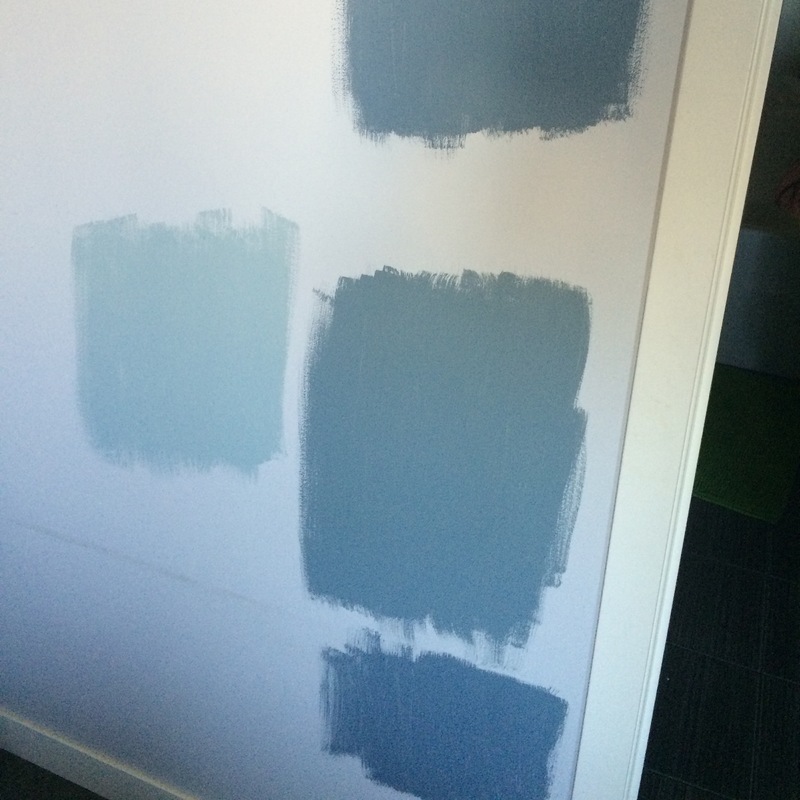 Testing Paint samples from CIL From left to right: Canadian Sky | Night Sky | Middle: Gentry Blue | Bottom: Night Sky I think Gentry Blue will be the one we paint the whole room. 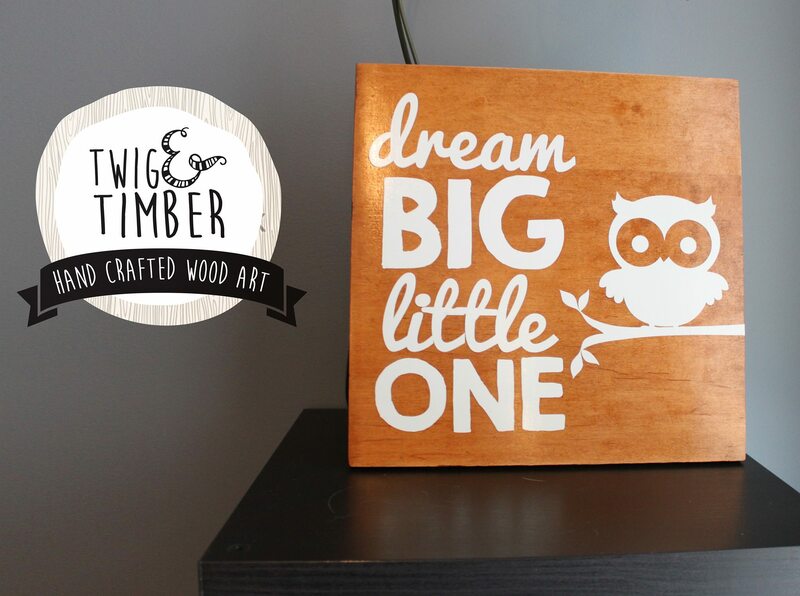 I’ve been daydreaming about how to spruce up the bedroom where baby will be sleeping with his brother, before he arrives. 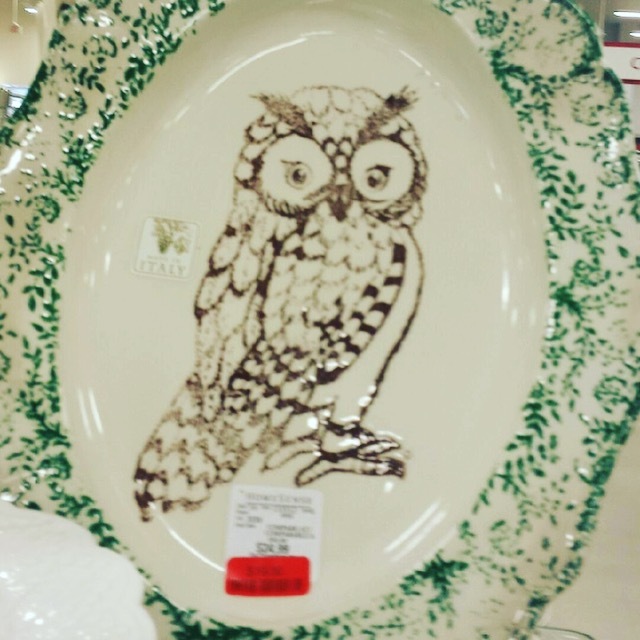 I have a lot of ideas but don’t/can’t spend a lot of money. I think there are so many great ways to create a classic, welcoming space without breaking the bank. We already have all of the furniture except a rocker, so that is very helpful. 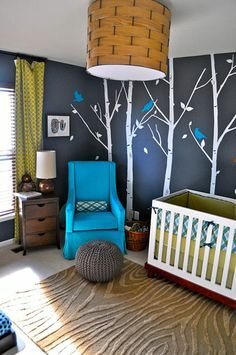 Since we will have two boys sharing a room, I thought a woodland theme might be nice and a subtle theme that can grow with them making small adjustments. There is still a lot of planning to do but I have so many ideas in my head about what we could do and I love gathering ideas from Pinterest, Instagram and magazines. 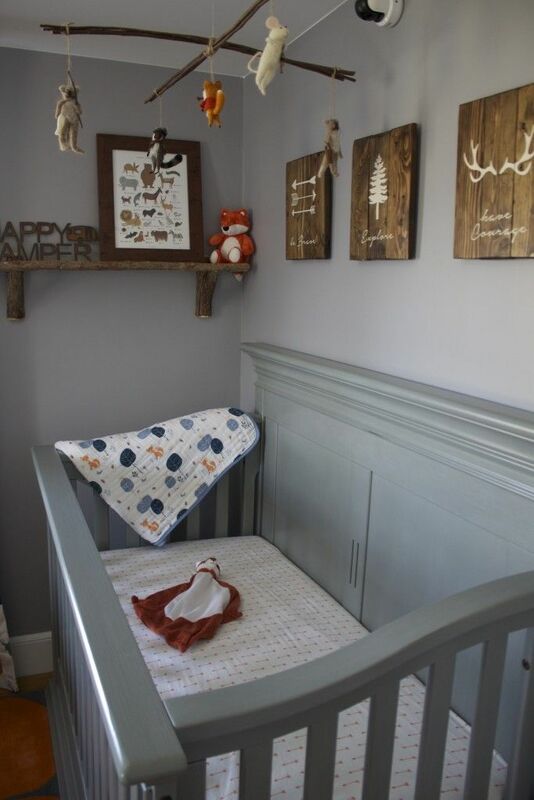 The bedroom has a grey laminate floor and all of the furniture is a dark brown stain. I thought a soft blue/green would be nice like this colour from Benjamine Moore but there is still a lot of testing and planning to do. 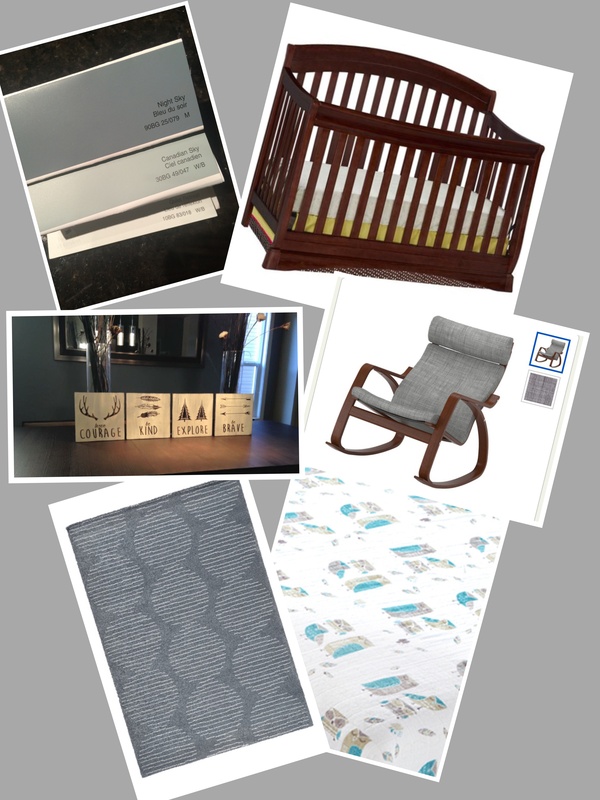 As you can see it is still a bunch of ideas but check back for more updates on the nursery progress! 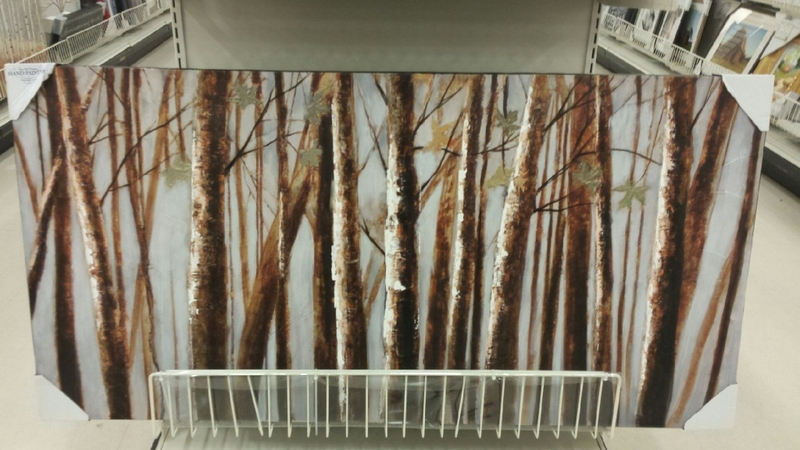 How do you gather inspiration when redecorating? Reblogged this on Thoughts in a moment.